Darlene J. Conley is currently an adjunct professor at Seattle University and St. Martins University, Joint Base Lewis McChord Extension where she teaches courses in criminal justice, criminology, and sociology. She has also held full time appointments in the Departments of Sociology at the University of Washington in Seattle and Spelman College, a Historically Black University in Atlanta, Georgia for women and served as the editor of Blacks in Criminal Justice Newsmagazine, published by Clark Atlanta University. She completed her undergraduate studies in Sociology and Foreign Area Studies at Pacific Lutheran University in Tacoma, Washington and completed her M.A. and Ph.D in Sociology at Northwestern University in Evanston, Illinois. She completed Pre doctoral and Post Doctoral studies in New York through grants from the National Institutes of Drug Abuse (NIDA). 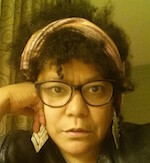 Conley has written extensively on the history of philanthropy in African American education and the civil rights movement and disparate treatment of youth of color in the juvenile justice system. She is a member of the Black Heritage Society and a former board member of the former Washington State African American Museum (TAM) in Tacoma, Washington. In 2005, she helped start the successor to TAM, the Washington State Center for African American Legacy (WACAALL) and maintains the website and blog for the organization.